Seeing as it is new to Netflix this month, I would be remiss not to recommend one of the better films from the 1990s as a whole, not to mention the best film in what many film commentators and historians dub the "gangsploitation" genre prevalent in the early-1990s. 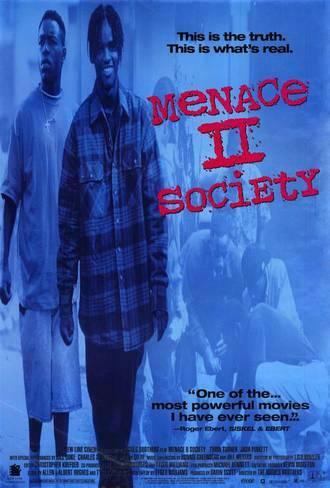 Menace II Society (1993) is a mesmerizing film and a stunning debut for the the Hughes brothers, Allen and Albert Hughes. The film stars Tyrin Turner, Jada Pinkett, Larenz Tate and Samuel L. Jackson, and is set in Watts as it tracks Turner's characters life since he grew up in a household and a neighborhood which pushed him into a life where he was trying to avoid trouble or, in some cases, finding trouble rather easily.